This addon adds a new block type that shows a user defined number of products using an unordered list. 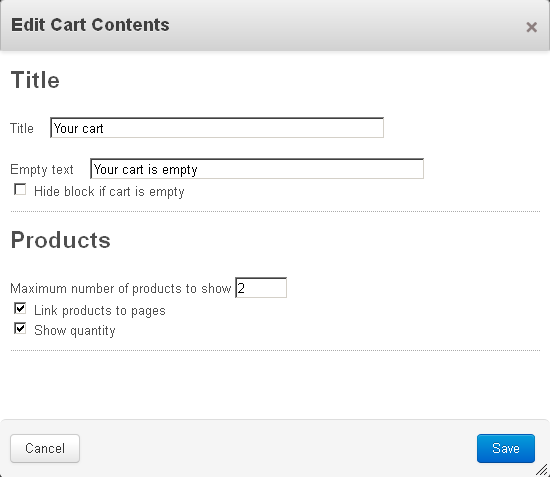 You can choose wheter to hide the block if the cart is empty, or display some "your cart is empty" text. You can hide the block if the cart is empty. You can show the products as links to their product pages, or just product names. You can show the quantity of product in the cart.